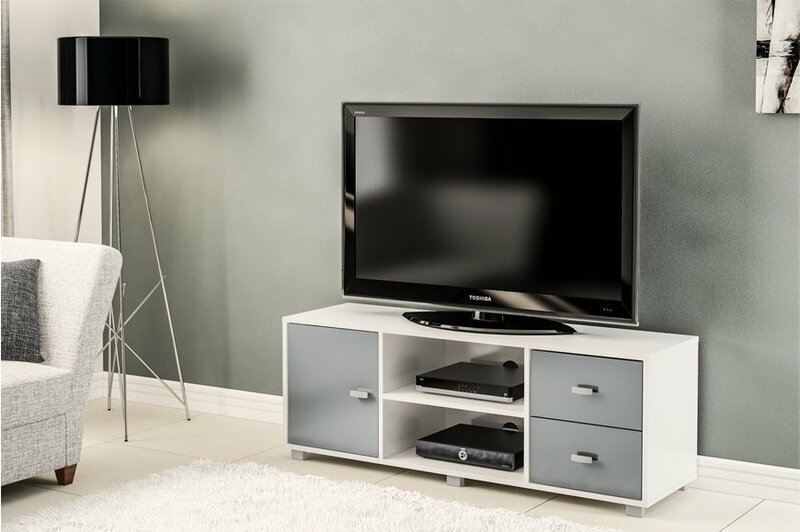 The combination of closed and open storage space, the Hyde TV Unit makes it a highly practical unit with clean lines for a contemporary style. Available in a choice of 4 colours, Black, White, Walnut & Black or White & Grey, this sleek and stylish design will look stunning in any style living room. 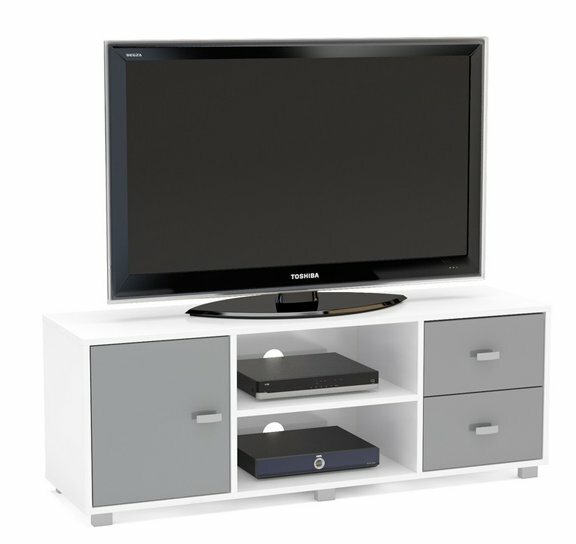 Featuring 2 handy pull out drawers this is ideal for storing DVD’s plus an open compartment for electronic devices.